This article on the Herbal Academy of New England website raises the question: Is it possible to conserve water and sustain a garden at the same time? Water conservation is a serious issue, especially in areas experiencing drought. It turns out the answer is “Yes,” if you take advantage of rainfall, use certain gardening methods, and manage the water that you use daily. 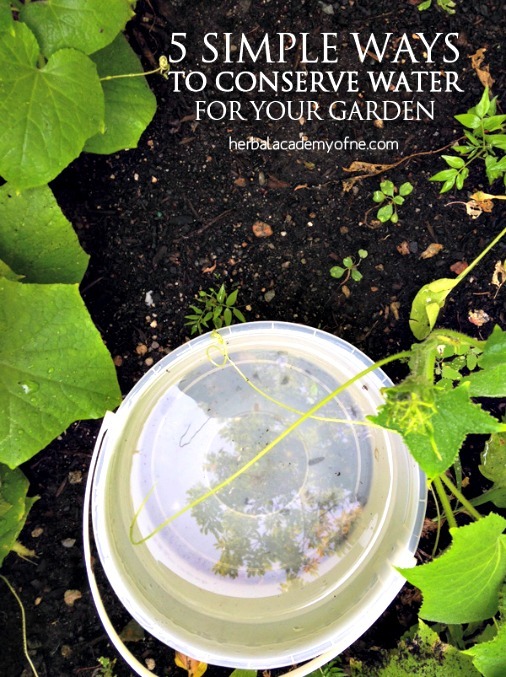 You’ll find a lot of creative ideas in this article that will allow you to collect sufficient water for everyday use, including water for your garden. Click on the 5 Simple Ways to Conserve Water for Your Garden link below to see all 5 methods for conserving water for your garden. The Herbal Academy of New England provides some great opportunities for learning. For example, if you would like to learn about herbalism, check out this Introductory Herbal Course. It’s online, allows you to learn at your own speed, and it’s inexpensive!